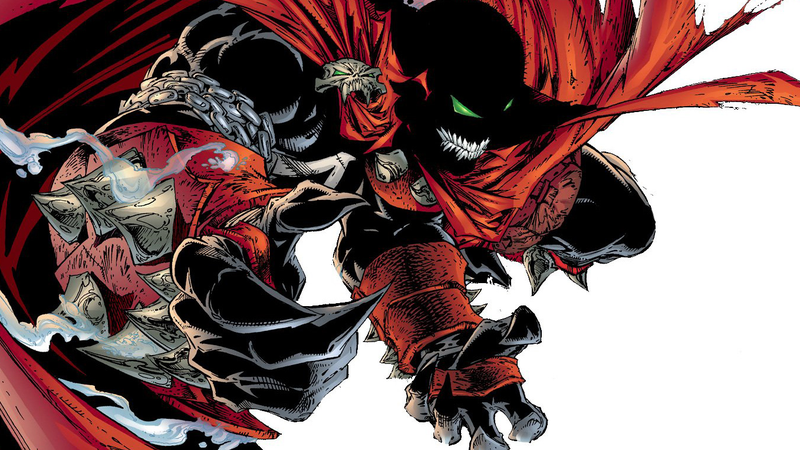 In the upcoming Spawn reboot, Todd MacFarlane’s upcoming movie about, er, Spawn, one important character will apparently have no speaking lines. Yeah, it’s Spawn. In today’s healthy dose of, “Wait, what?” Todd MacFarlane, Image Comics co-founder and inventor of the hellish anti-hero he’s now producing a film about, told azcentral that his upcoming take on the character will be a bit different from how we’ve seen him before. MacFarlane went on to insist that the film wouldn’t be a superhero movie at all, but instead a “supernatural thriller, like a lot of good creep movies,” with Spawn himself as the only supernatural element. So I guess Spawn’s traditional backstory, where he’s an ex-CIA operative recruited by the literal devil to be a Galactus-style hell herald on earth, isn’t going to make the cut this time around. When the news came out that MacFarlane was rebooting Spawn, one assumed that Spawn would, y’know, talk in it. And while MacFarlane has downplayed the character’s role in his own film in the past, it’s still quite another thing to proclaim that his most famous character won’t have single speaking line. The film currently has no release date, although MacFarlane confirmed that they have moved into the casting stage of the film (guessing the Spawn audition will just involve a lot of menacing glares? ), which he is set to write, produce, and direct.